We invite you to join us for one of the most popular IVY / Seven Sisters alumni and their guests tennis party for players of all levels and ages over 18*. This is a great opportunity to socialize and network with other alumni. You can come and leave at any sessions (40 minutes each). 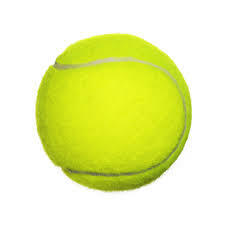 We provide refreshments and tennis balls. * If a player is under 18 years old (limited to Advanced girl or boy), please contact us. Note: This event is not a part of singles event. All players are welcome to attend the Tennis Party. No tennis partner is needed to participate fully in the Tennis Party. Organized by The Harvard and Yale Clubs of Washington D.C.
Advance registration: Please send in a check by mailing this form to the address below, or pay by credit card by clicking below. All payments must be received by 02/22/2019 to qualify for the advance registration price. There is no registration by fax, email or telephone. 2. Requests for refunds: A request must be received by 3 pm on 02/22/2019. 3. Door admission: If a space is available, please pay door admission fee by cash or check only. 4. Each attendee is responsible for any damage to the facility, injuries or accidents in connection with this function.